Baltic Amber Teething necklaces offer effective relief for teething children. Teething necklaces are 12.5 – 13 inches long and come in a variety of colors. Centuries ago Baltic amber was considered one of the leading “medicines” of its time. The amber from the Baltic sea is the most esteemed amber in the world and the healing qualities of Baltic amber make it unlike any other type of amber found in the world. Baltic Amber has an oil that is released when it is heated by the body. When worn directly on your skin the oils, which contain succinic acid, are absorbed by the body. Baltic amber has the highest concentration of succinic acid found in nature. Baltic amber has been used for centuries to treat many different aliments. It offers pain relief, strengthens the body’s immune system, restores energy, helps maintain wellness, helps break the cycle of chronic inflammation, and has a calming effect for the wearer. 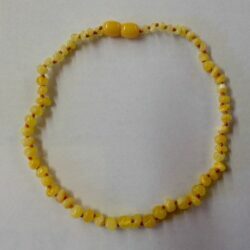 Baltic Amber has been used as a remedy for teething for thousands of years. This is a wonderful alternative to over-the-counter pain medicine. There are no side effects. 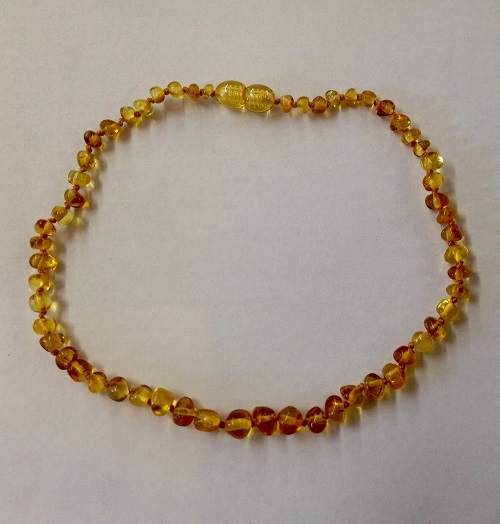 Natural anti-inflammatory and pain relieving properties of Baltic amber are perfect to soothe teething babies. By having the baby wear the necklace everyday it helps reduce the common symptoms related to teething such as; redness in the cheeks, swollen gums, diaper rashes and fevers. The necklace is suitable from about 3-4 months of age. The miseries of teething can often continue for 2 years or more. It’s never too late for your child to start wearing this necklace! Spiral Mama only offers true Baltic Amber that is imported directly from the Baltic Sea area. The amber is threaded on silk and there is a knot between each bead so if the necklace breaks beads will not fall off. The necklace is finished off with a resin safety screw clasp, which will break if enough pressure is applied. Remember: Amber jewelry is made for wearing, not for chewing. The amber will break under enough pressure. Children should always be supervised while wearing the necklace, and it should be removed if the child is to be left unattended or sleeping. 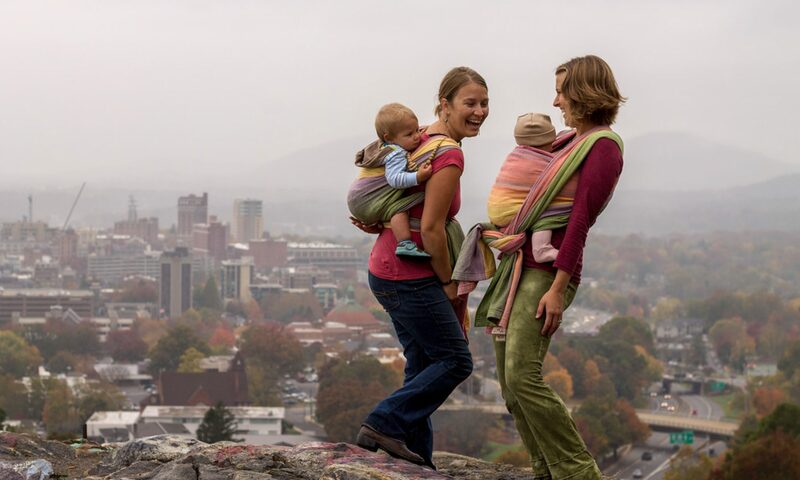 You can secure the necklace around your child’s ankle while sleeping.